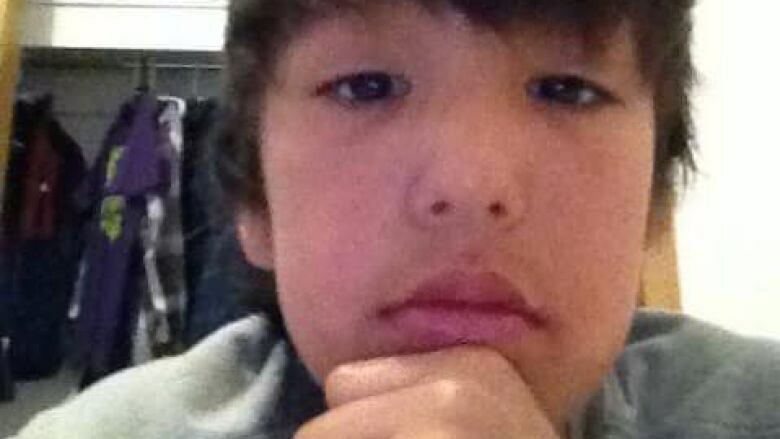 A northern Manitoba first nation has lifted its ban on alcohol put in place more than a month ago after the beating death of an 18-year-old man. Nisichawayasihk Cree Nation, also known as Nelson House, implemented the temporary ban "out respect for the bereaved families," the First Nation said in a statement. Marcus Spence was found dead on Feb. 20 after RCMP officers were called to a house party. Four people have been charged with first-degree murder in connection with his death. The community's safety officers, along with RCMP, enforced the ban with a checkstop at the entrance of the first nation and seized all alcohol for destruction. Although the community has seen a decrease in violence and alcohol-related injuries since the ban went into effect, it has also seen an increase in illegal bootlegging. "Community safety remains a top priority for the chief and council but we recognize that alcohol bans do not solve the root problems of addictions," the statement read. The ban was lifted at midnight on April 10. The first nation plans to implement a new community protection law that will set out the rules for bringing alcohol into the community. This was the second time in a year that the community implemented an alcohol ban. It implemented a ban on May 1, 2018 after three boys were hit and killed by an allegedly impaired driver. It was lifted weeks later. The community is about 666 kilometres north of Winnipeg.